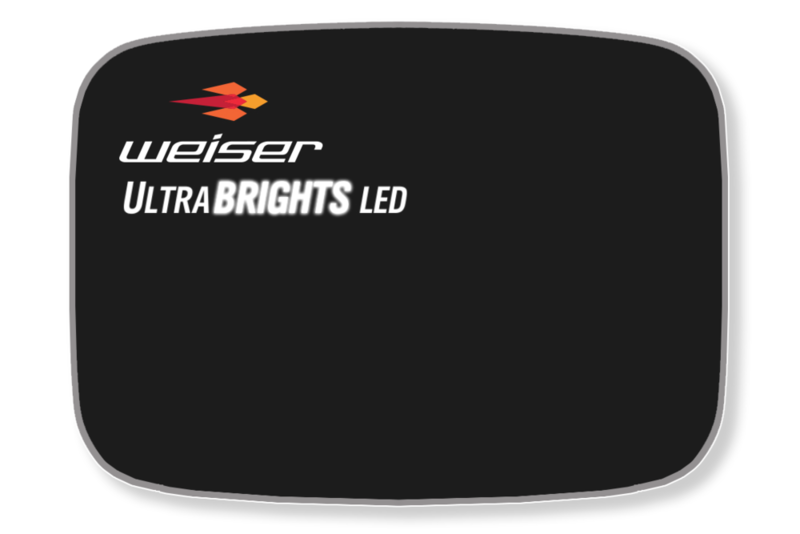 Weiser’s UltraBRIGHTS LED motorcycle lighting fits inside the motorcycle's OEM turn signal housing and offers riders improved visibility and enhanced safety. UltraBRIGHTS LED upgrades are designed for BMW, KTM, Aprilia, Triumph and other European and American motorcycle brands. Our products offer cleverly designed, quality, alternative LED lighting solutions. It is important that you identify not just the bike make and model you require, but also the shape of the OEM turn signal housing currently fitted to your bike. Any doubts, send us a message or call +1 (831) 713-4365 and we’ll check to see if your model is compatible. Don’t see your housing shape? Send us a message or call +1 (831) 713-4365. We can add housings to your order. Instead of just one filament bulb, you’ve got lots of individual LEDs throwing out light. They’re up to 10 times brighter than the OEM incandescent bulb. • Automotive industry approved LEDs from reputable manufacturers (OSRAM, Samsung, Philips, Nichia etc). Designed specifically for earlier BMW motorcycles. Extreme LEDs come in bright, vibrant colors for maximum visibility. Compatible with CAN-bus and non CAN-bus motorcycle electronics. • Compatible with CAN-bus and non CAN-bus motorcycle electronics. • Fits neatly inside existing OEM turn signal housings or available as complete housed units. Designed to light up alongside your existing brake light – so you have three brake lights for maximum safety. Designed specifically and only for BMW’s G 310 motorcycles! Fitting into the rear turn signal housings, and giving an extra 800 lumens from each housing, they will enhance your safety. Fits models from the 1990s to present. Each light has integrated electronics to work alongside the turn signal function letting you switch between the brake and turn function when needed. Therefore your new upgrades light up alongside your existing brake light when the brake is applied. Now you have up to three brake lights! Weiser’s revolutionary 2-in-1 LED lighting upgrades improve safety by simply adding high-intensity lighting where you need it, without spoiling the look of your bike. At the heart of each unit is an intelligent electronic circuit board that switches between LED driving lights and LED turn signals when required. Fits models from the 1990s to present. Each Weiser LED upgrade outputs 1000 lumens and has 24 powerful automotive standard LEDs – 12 amazingly bright white LEDs for the driving lights and 12 intense amber LEDs for the turn signals. 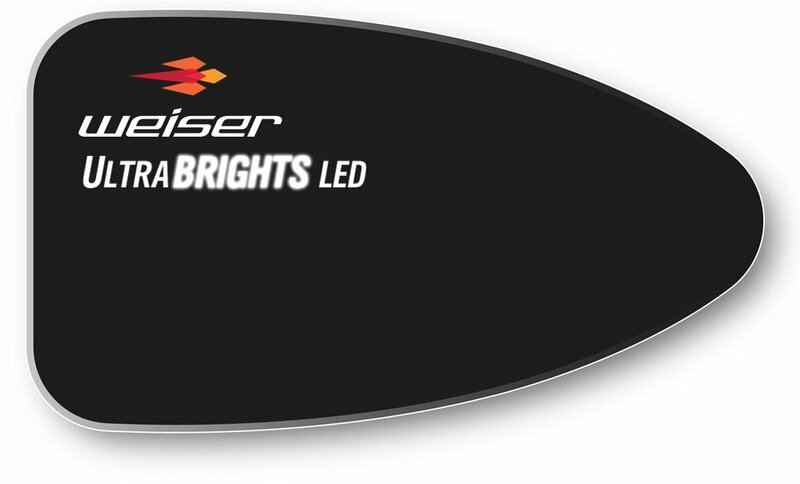 UltraBRIGHTS Extreme - the brightest turn signal on the market today. Available for many different European motorcycle brands (BMW, Aprilia, Buell, Ducati, KTM, MV Augusta, Moto Guzzi, Triumph, Yamaha, and Zero). They come in a number of different shapes, to fit their OEM housings. For earlier BMWs, you can purchase the UltraBRIGHTS Legacy I (2000 to 2014), Legacy II (1993 to 2004) and Legacy III (1970-1995). 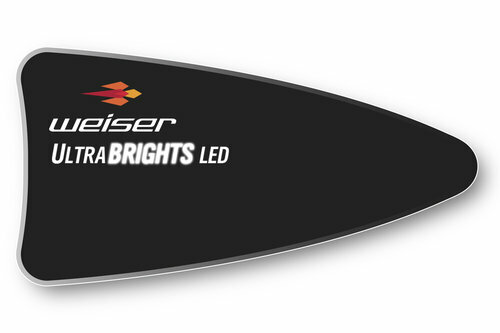 Our UltraBRIGHTS are a proven, superior alternative to the existing OEM bulb. Which UltraBRIGHTS will fit my bike? Our lights are designed to fit inside the turn signal housing. If you are intending to use your existing OEM housing, it is important that you identify not just the bike make and model you require, but also the shape of the OEM turn signal housing currently fitted to your bike. If in any doubt about the shape you have, send us a message or call +1 (831) 713-4365 and we’ll check to see if your model is compatible. Click here for other bikes. Our products are manufactured in U.S.A. and U.K.
We highly recommend Adventure Pockets: Motorcycle Bags & Motorcycle Luggage.